As your group grows from the experience of working together on the low ropes, they are asked to continue their support as each individual sets a goal to accomplish on the High Ropes. Individuals will be encouraged to step beyond their comfort zone, to try something they never thought possible. A high ropes course is a series of obstacles that are between 30 and 60 feet in the air. 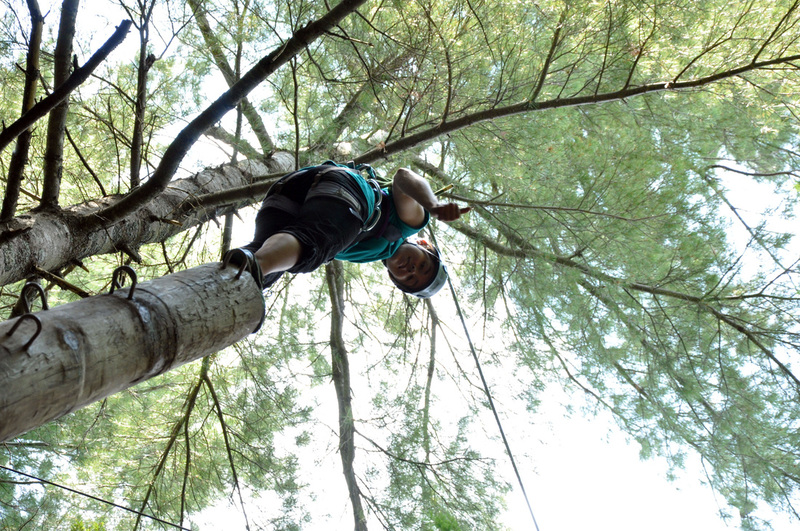 We use dynamic belay systems and most of our elements are strung between giant white pines. Participants are connected to a rope with a belayer on the other end . Participants on a dynamic course remain on a belay the entire time while climbing up to the element, doing the activity, and being lowered to the ground. 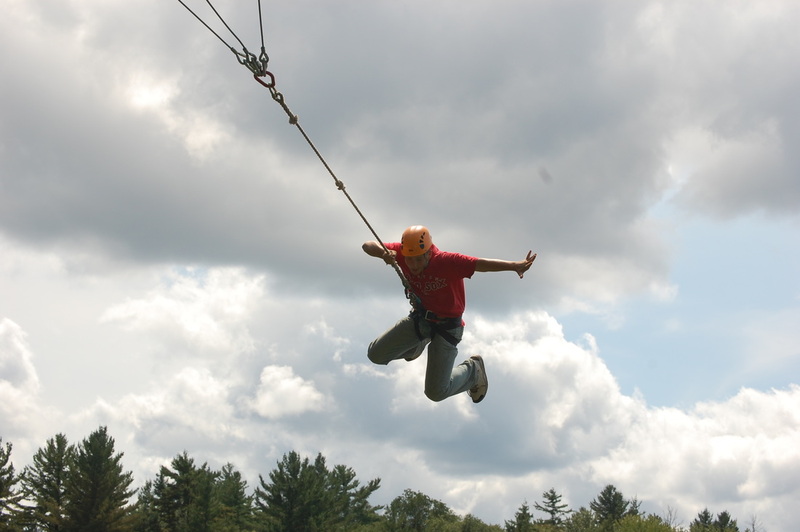 You will need determination, self-confidence, and encouragement to accomplish any task on our high ropes course. The course helps you to gain confidence and a feeling of accomplishment as you over come fear. You will learn many new things about yourself and others with every attempt. Our course consist of a total of 8 High elements and an additional 6 climbing routes on out 40 foot climbing tower. Check out the descriptions below. Panoramic View from our Zip Tree 42' off the ground!